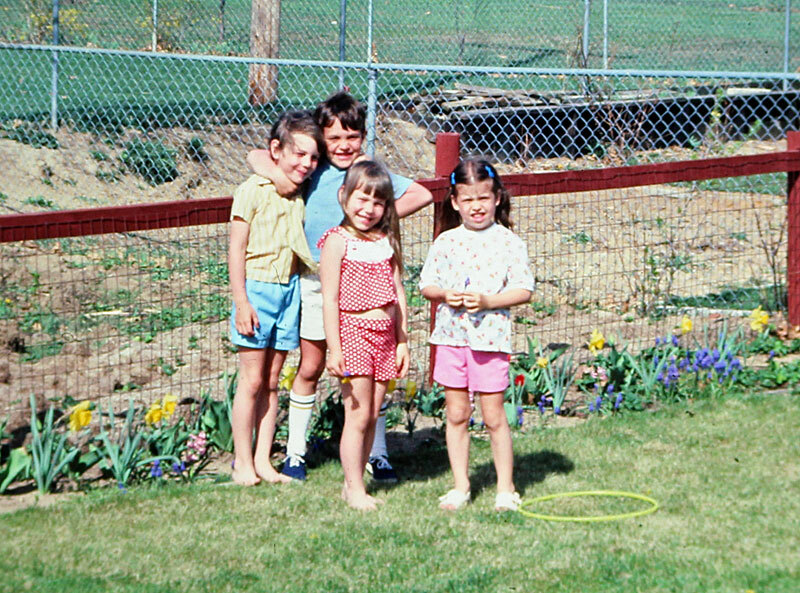 This is a shot from 1978 taken in my back yard on Pomeroy in Waterford, MI. It looks like I’m putting my friend Mark Cleveland in a headlock. His sister Crissy (Cristina) Cleveland is in red and Jennifer Carley in pink. 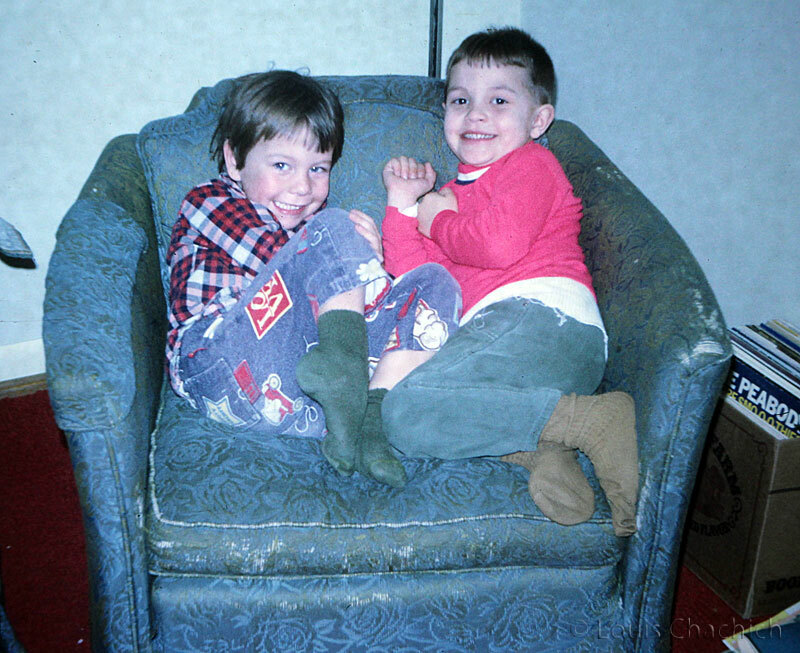 Mark, along with his twin brother Grant, were my best friends prior to kindergarten. I think they had already moved from our street in Waterford to Lake Orion by the time this picture was taken so maybe they had come by for a visit. Jennifer Carley lived two houses down from us. Note the yellow ring on the ground. It was from a lawn dart game called Jarts we had. They were pointed metal darts. Incredibly dangerous in hindsight. I remember throwing them up as high as I could. Somehow we managed not to get hurt. Probably could get a good price for one on ebay now but ours were well-used and the plastic fins eventually broke.